Wolverine’s blades got nothing on the Scorpion blade. 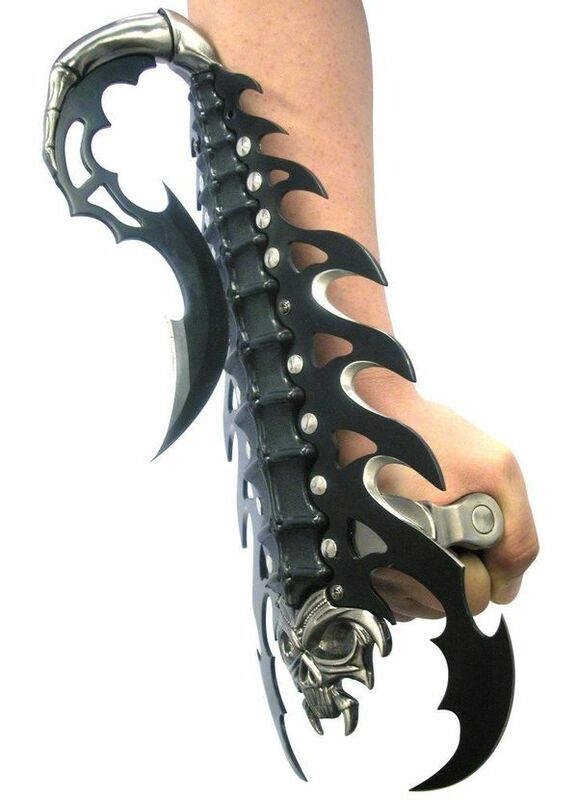 Getting one of these wearable weapons is also less painful than pumping Adamantium into your bloodstream, so score another point for the Scorpion. The blade is about 14.5 inches long and it looks like it can cause a lot of pain if used correctly. The highlight is the stinger, which looks particularly deadly and poised to strike. It’ll take some practice to get used to using and maneuvering with this on your arm, but you’ll get used to it.